Hosted QuickBooks allows the user to access their QuickBooks files from any location, day or night, by logging into our server via a secure Internet connection. The software is installed and maintained on our dedicated servers so you always have the most up-to-date version of QuickBooks and you never have to worry about software or technical infrastructure upgrades again! Why Choose Our Hosted QuickBooks Solution? Keep business costs from growing out of control through our hosted QuickBooks Enterprise services. You will save money and resources because there is no need for expensive IT employees, costly software & IT infrastructure upgrades, and expensive user & license fees. Turn Key Office has a team of certified technicians and network engineers to keep everything running smoothly. As a business owner, you are always on the go. Our hosted QuickBooks solution allows you to adapt to your busy schedule and growing business. Because your QuickBooks files are stored on our secure servers, you can work on them at the office, from home, while on a business trip, or at your local coffee shop without worrying about compromising your financial records if your laptop or computer is stolen or destroyed. Intuit offers QuickBooks Online, which also allows users to access QuickBooks remotely; however, it lacks many of the features and fails to provide most of the great benefits found with a hosted QuickBooks solution. Using QuickBooks through our secure terminal servers feels as though you are working directly on your computer’s desktop. There is no new user interface to learn and you will work with the same robust, full-featured QuickBooks you know and love. 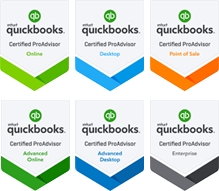 Our hosted QuickBooks solutions allow for simultaneous, multi-user access – approved and regulated by you. Your bookkeeper and employees can maintain bookkeeping data, transactions, and inventory, in real time, across multiple locations, ensuring you, your CPA and your business partners have access to the most current company information. Whether you keep your own books or outsource your bookkeeping needs, we are ready to help yours with more than just hosting your bookkeeping files. Our staff of U.S. based, certified ProAdvisors and professional bookkeepers can provide onsite or remote support, ranging from consultations and data entry all the way to creating accounting protocols and full-service bookkeeping. We understand keeping your bookkeeping and financial data secure is vital to the success of your business. Because of that, Enterprise level security comes standard for all our QuickBooks clients. Our servers are monitored in real-time, 24/7/365 and nightly and monthly data backups are stored in two, offsite locations. Our hosted QuickBooks Enterprise Solutions start at $65/month for single user access and data file hosting. For a free, no-obligation consultation, please contact us today.